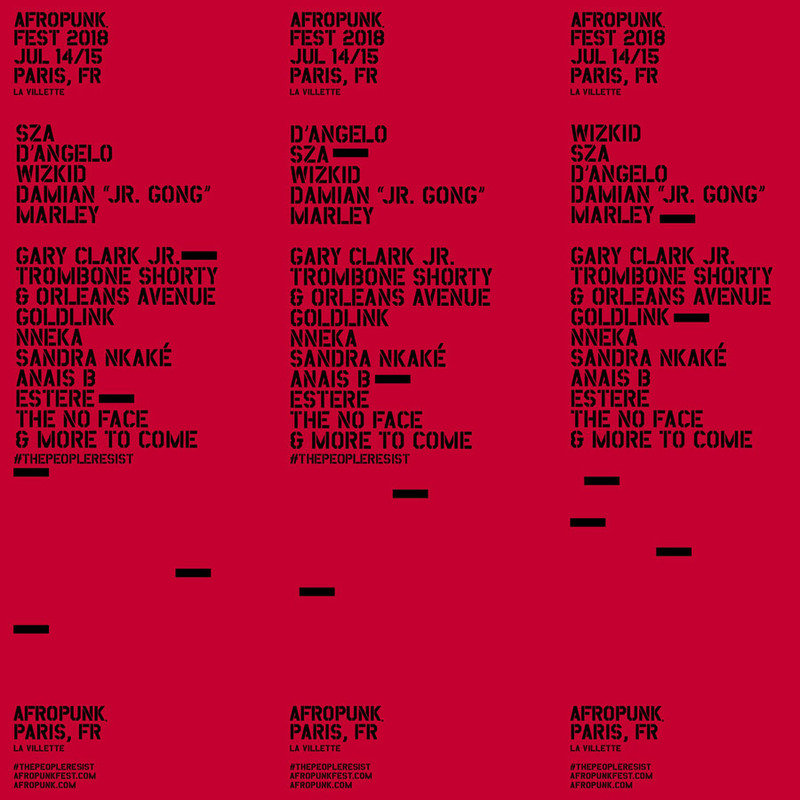 The first names have been announced for AFROPUNK Fest Paris – the French outing for the now global movement and festival network – with SZA, D'Angelo, Wizkid and Damian Marley topping the bill for 2018. The headline appearance from SZA comes following an incredible year of the artist in 2017, which saw her second album Ctrl met with widespread critical acclaim, and has since led to her being booked for festivals across the globe this summer. Meanwhile, in Wizkid and Damian Marley the festival has secured the services of two of modern Afrobeat and reggae's biggest names respectively. Beyond the four headliners, the first announcement also included Grammy Award winning rapper GoldLink, modern blues sensation Gary Clark Jr., New Orleans' finest Trombone Shorty & Orleans Avenue and soulful Nigerian singer Nneka. See the full lineup so far below.